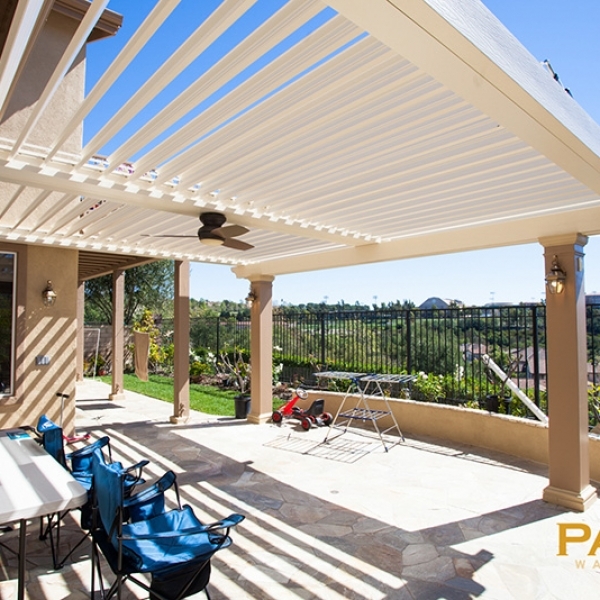 Take a visual tour of the louvered patio cover photo gallery below, and start collecting ideas for your own project. 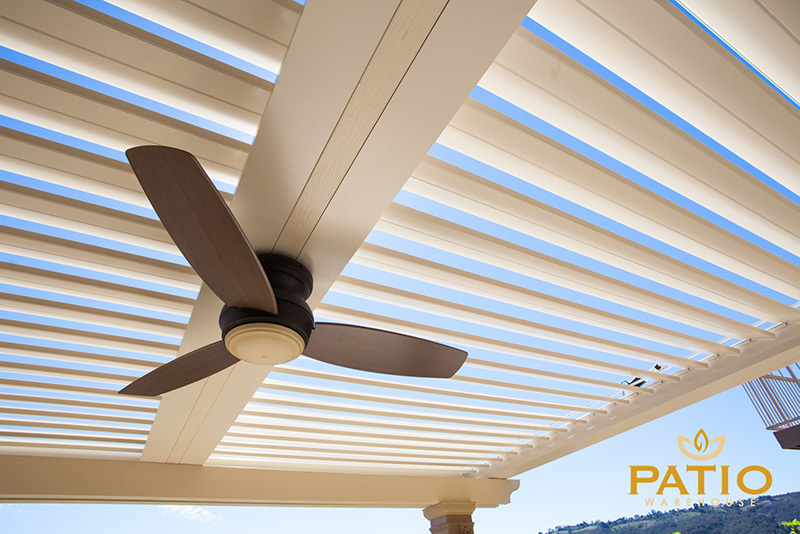 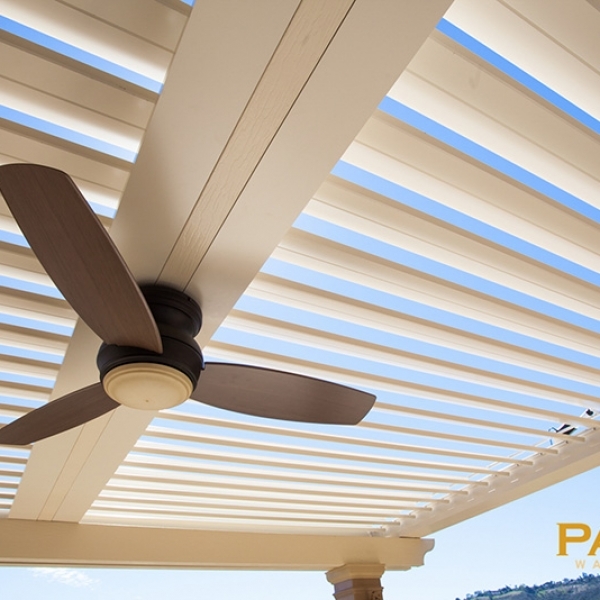 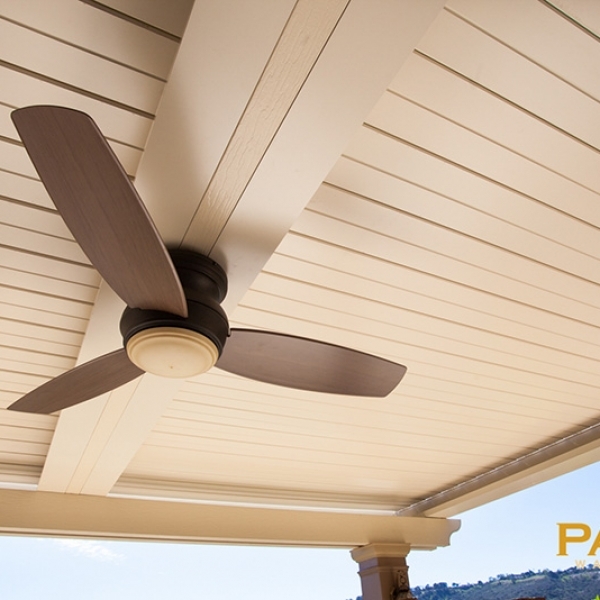 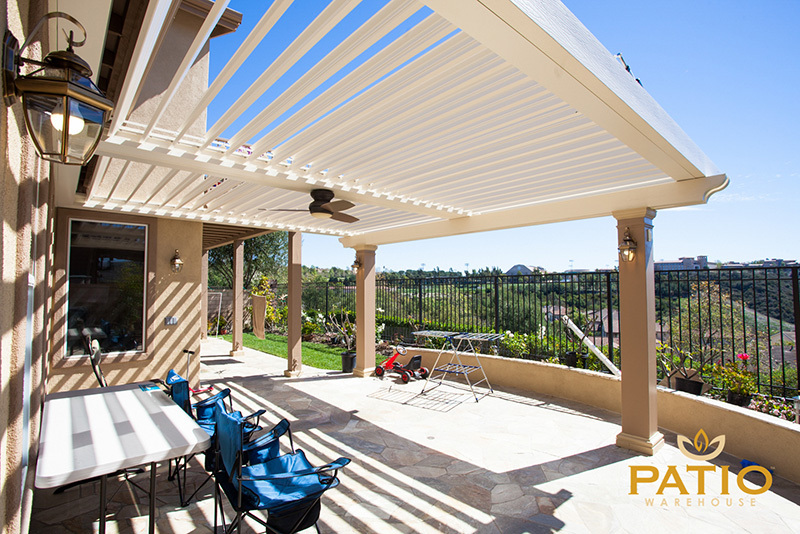 Apollo louvered patio covers provide premium coverage with unparalleled form and function. 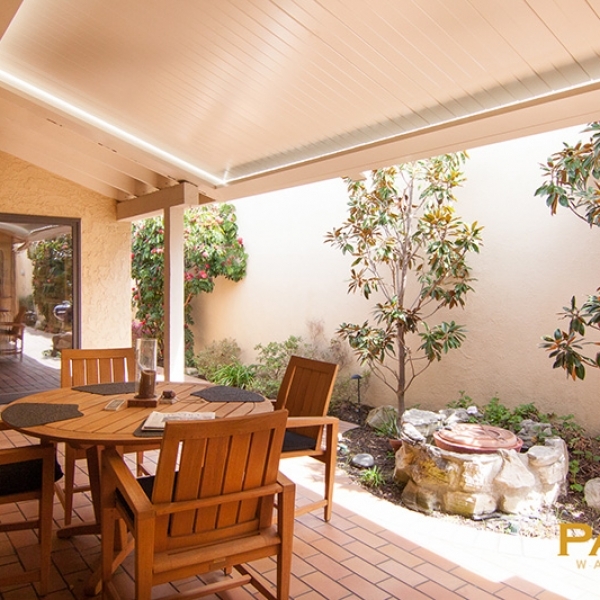 On clear days, you can let the warmth and beauty of the California sun shine through open latticework. 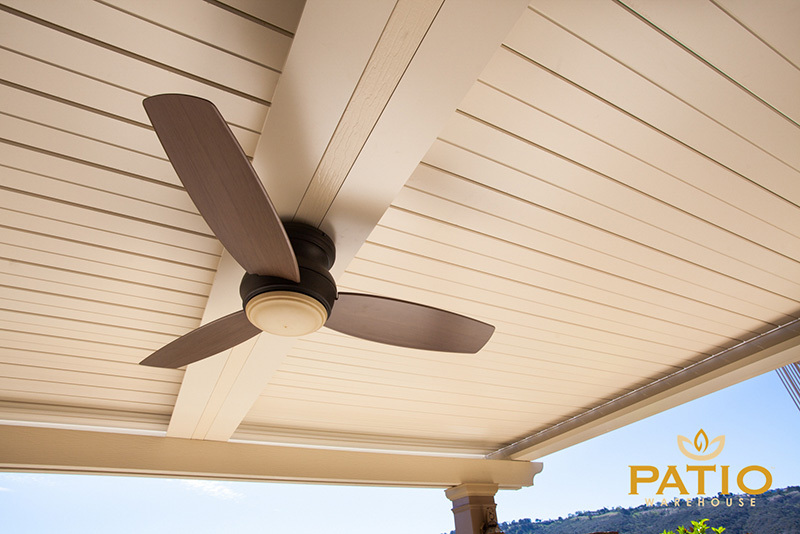 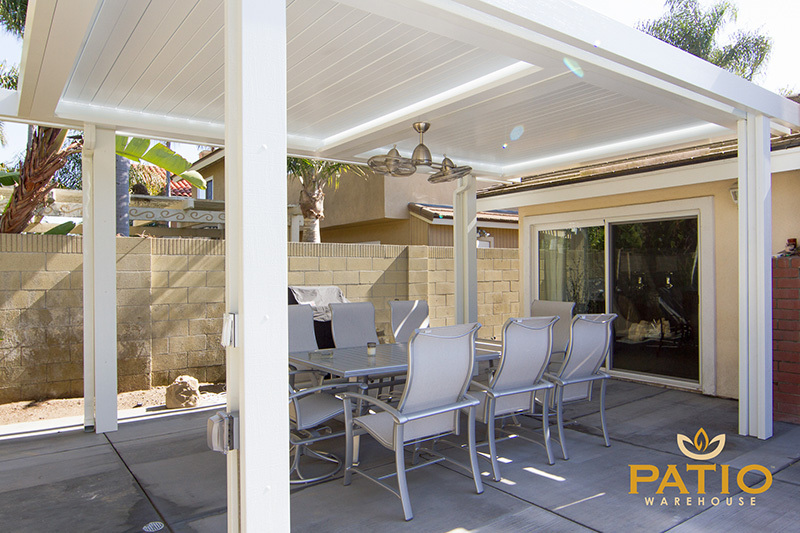 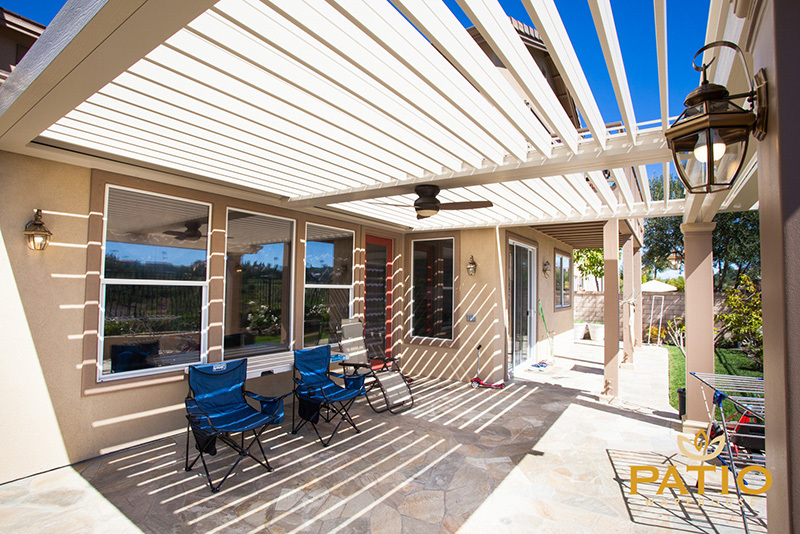 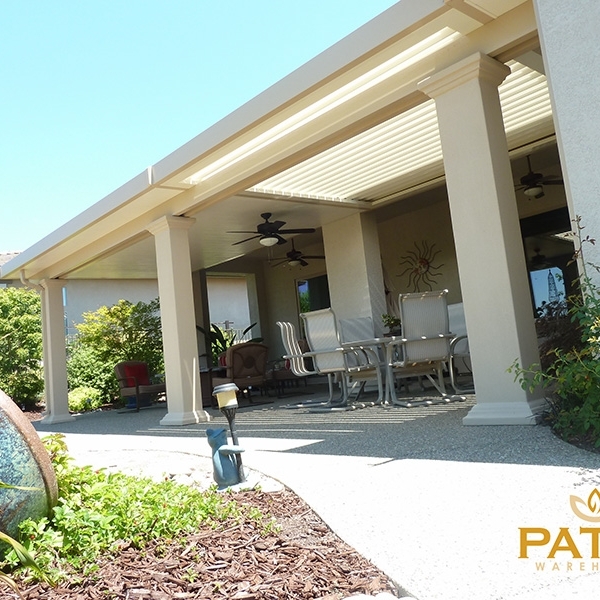 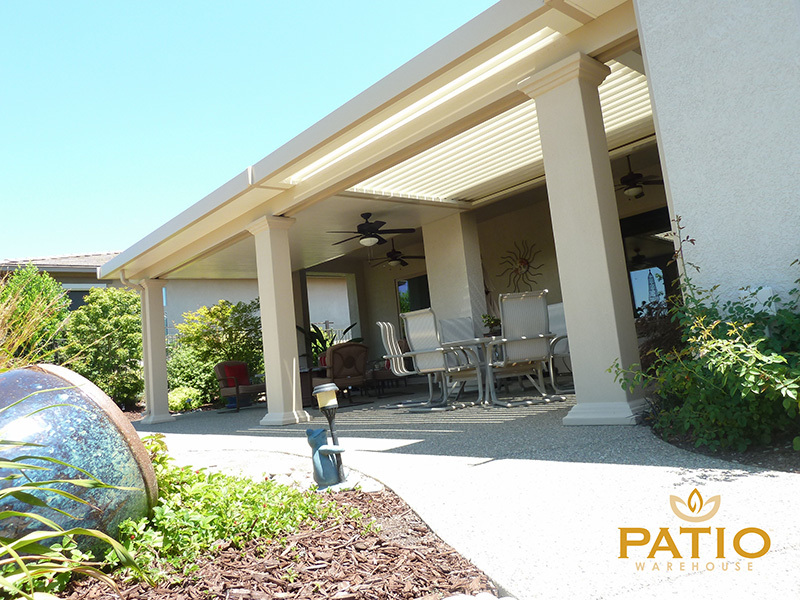 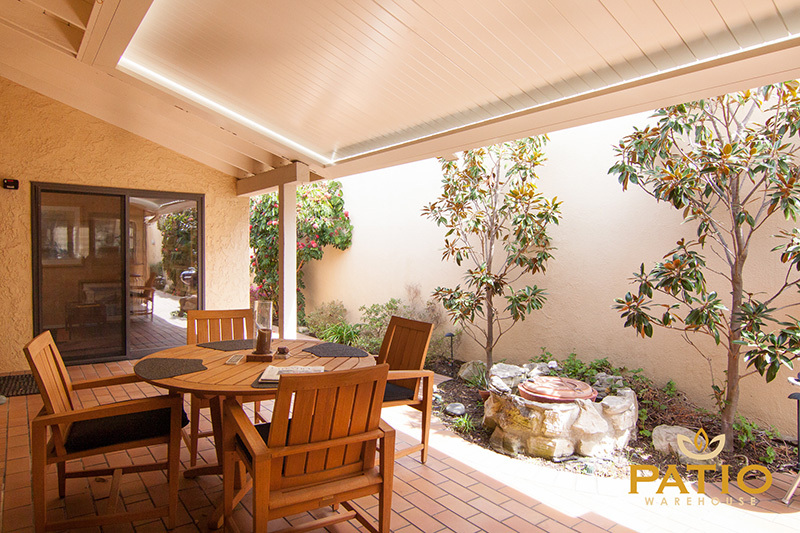 When the clouds roll in, relax to the rhythm of rainfall by closing the interlocking patio cover panels. 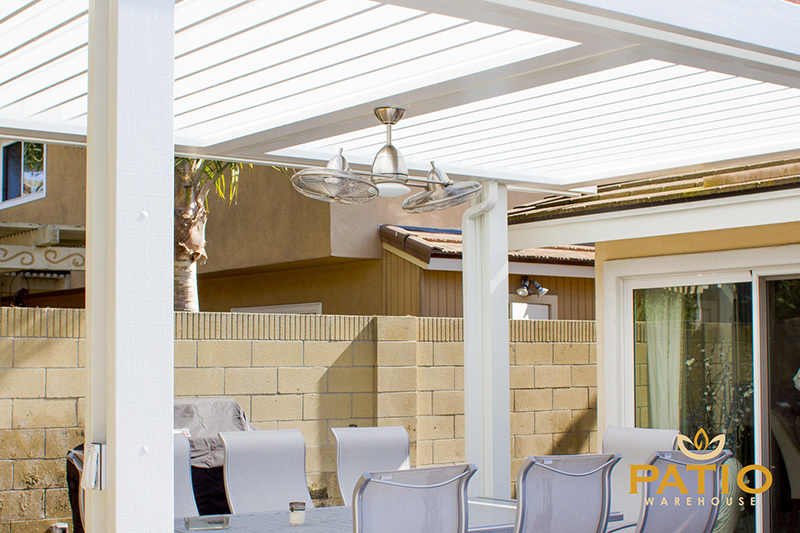 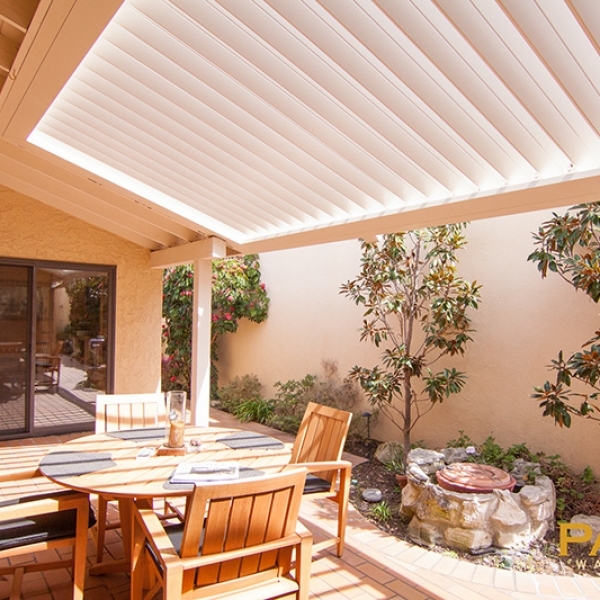 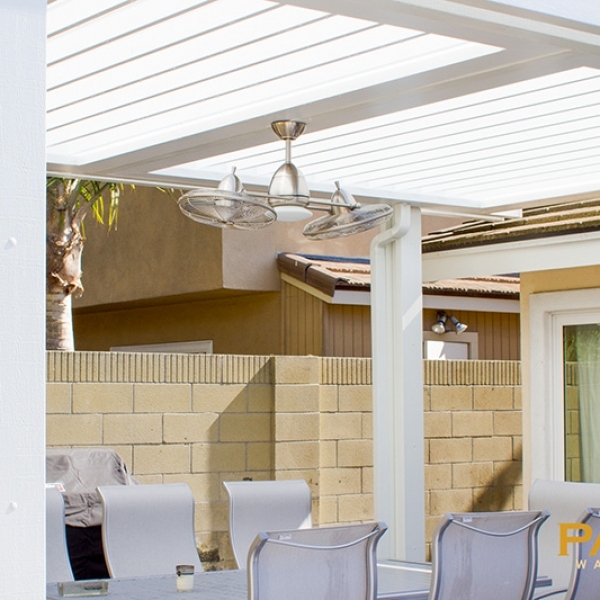 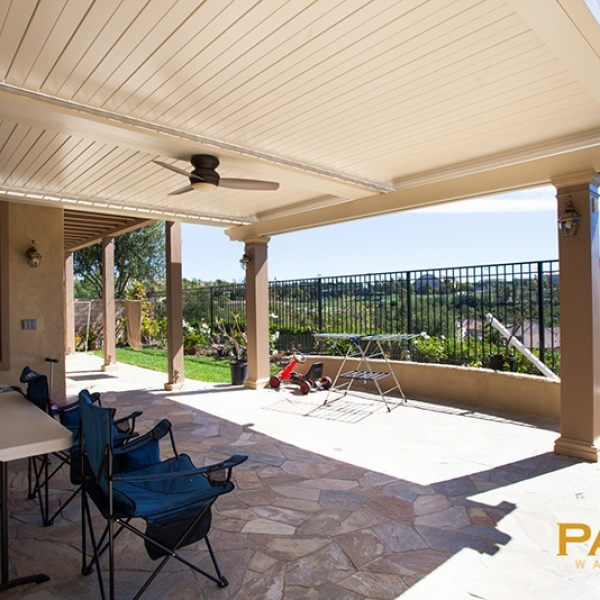 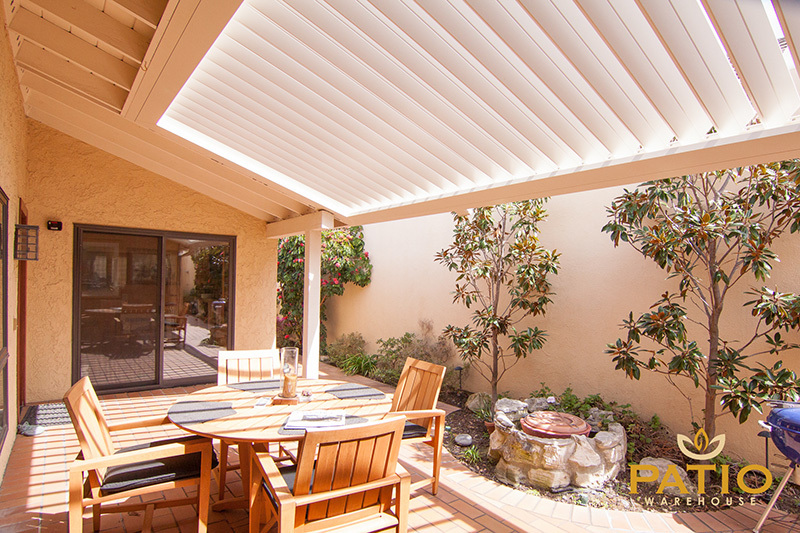 As one of the top patio cover contractors in Orange County, Patio Warehouse is pleased to offer a wide selection of the best Elitewood patio covers. 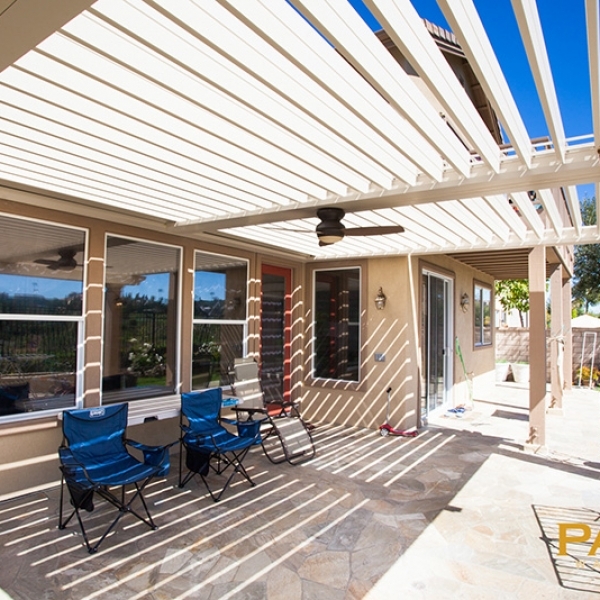 So whether you want to catch some rays in your Mission Viejo back yard or wait out a passing storm in your Lake Forest veranda, the high-tech precision of an automatic, louvered patio cover allows you to do it with ease. 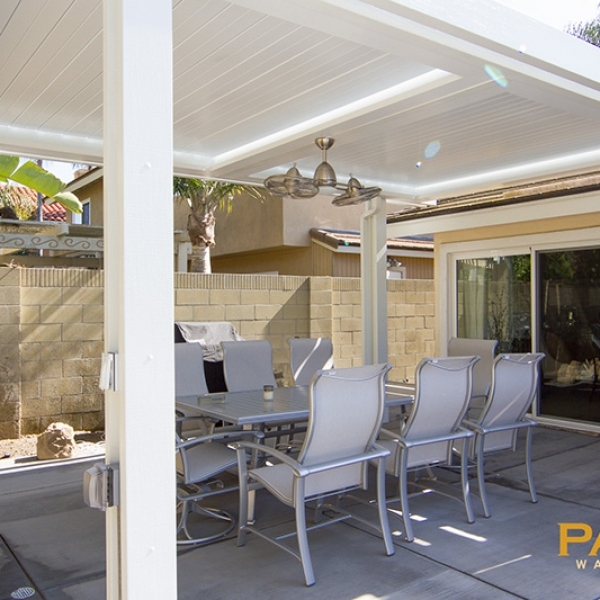 The following gallery offers a photographic glimpse of our completed projects, allowing you to envision how an aluminum Apollo louvered patio cover can transform your home. 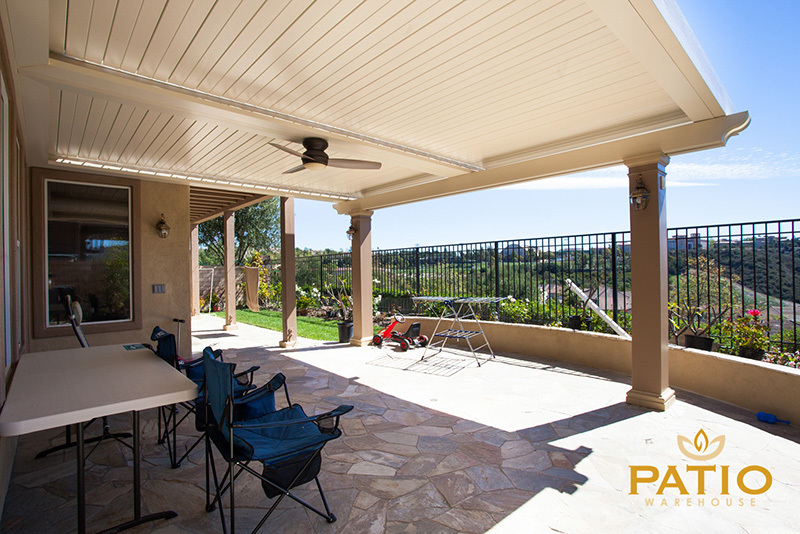 After these images spark your imagination, call our office to schedule an in-home consultation.